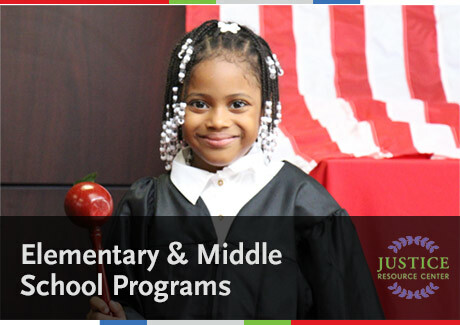 The Justice Resource Center (JRC) offers programs for ELL classes. The JRC offers Project Citizen, We The People and professional development law-related teacher workshops. The JRC offers a multi-lingual competition for ELL students enabling them to study the Constitution using multi-lingual materials, leading to their increase of knowledge of the US laws and enables them to increase English language acquisition.